439 days. That’s how long I’ve been Project Coordinator for the Open Government Pioneers Project. It’s the longest I’ve spent in any role. I’ve enjoyed managing a project touching on so many of the things I love – policy, public affairs, campaigns, events and project management. Taking on a complex project with only a high-level plan and view of what we’re aiming to do has also been challenging. From setting up websites and social media to building networks and supporting these to enable change, we’ve had to take an iterative approach to progressing the project based on needs rather than what we feel is ‘perfection’. 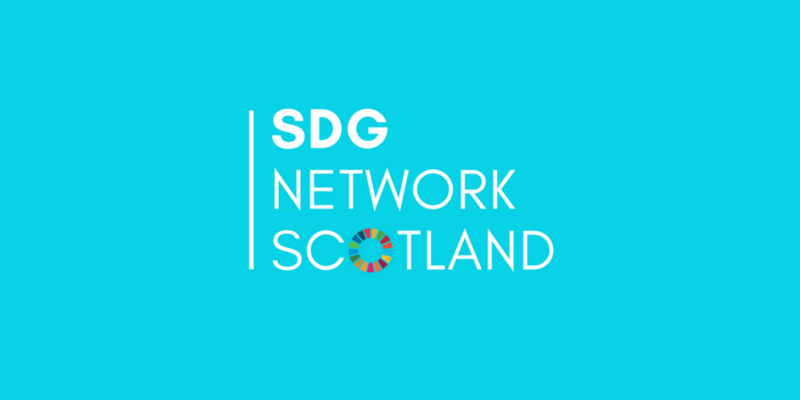 I’ve found that difficult, but this has helped ensure that we are doing enough to progress the project whilst having the capacity to take on big opportunities that present themselves, in particular building Scotland’s Sustainable Development Goals (SDGs) Network. Although part of a wider UK team, I have no dedicated team to support me in Scotland. Rather, I’ve had to rely on some incredible people who, though not part of an ‘official’ team, have taken on a supporting role. My highlight has been setting up and developing the SDG Network. Although not part of the plan, the help of some key people has resulted in 300 people joining a network under a year. It demonstrates where collaboration has worked best in the project. What started as 15 people in a room progressed significantly through planning sessions, mapping workshops, task groups and building Scotland’s national platform for the SDGs. We’ve kept formality to a minimum, but developed a structure to bring people together. In less than a week, members have helped mobilise over 80 organisations and 250 people to sign our open letter on the SDGs and responses are being received. Organisations have approached us to contribute to events or partner-up. The visual design of Scotland’s National Performance Framework, which will monitor progress towards the SDGs, has also changed in recent months resulting from a workshop between the network and the Scottish Government. This has rested on collaboration, supporting one another and kindness in the relationships we have built. I’m excited about the next phase of work as together we build momentum behind a national plan for the SDGs. Bizarrely, it wasn’t the SDGs that made me apply for this job. 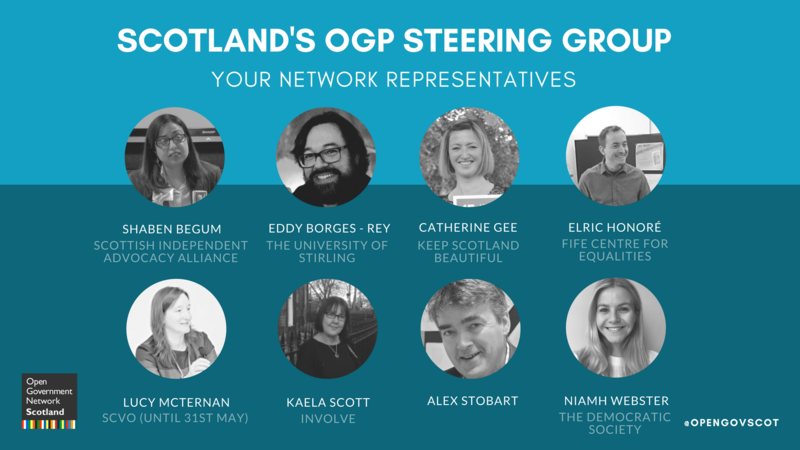 My work on the much-discussed Transatlantic Trade and Investment Partnership, coupled with an academic interest in global corruption, made me jump at the chance to get involved with Scotland’s open government movement. Without a doubt, it’s the Open Government Network that has provided me with the most interesting experience. 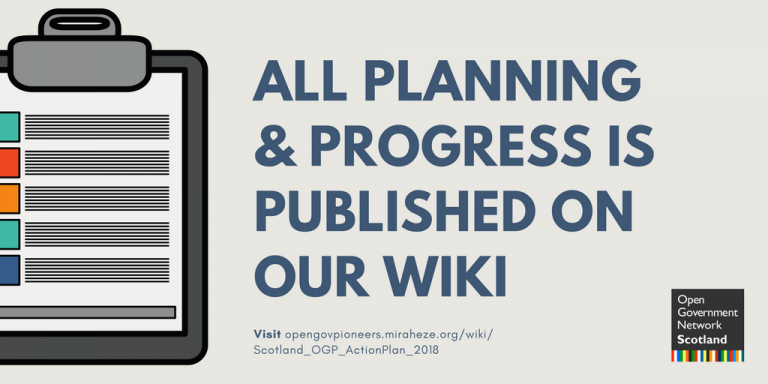 Taking on a network that was already in place has been a challenge, especially at a time when Scotland had just started to deliver its first Open Government Action Plan. There have been times when I’ve questioned the progress our project was making on this front, especially when compared with the SDG Network. Last year was spent listening to members to build a blueprint of where the network was at, and working on small yet time-consuming tasks like developing our social presence and the online forum. This is all nice and actually important, but what difference were we making? Our forum is more active and our membership has nearly trebled since the start of last year, but was we enabling change? I think it set the foundations for 2018, and we’re now moving into developing Scotland’s second Open Government Action Plan. My feeling is that this listening – by both Government and ourselves – will pay off. An open approach to planning, a new representative steering group and clearer opportunities for network members to get involved in shaping and monitoring the plan are big changes. The high-level outcomes the project has been working towards in Scotland has been widening the opportunities for people to play a more active role in delivering the SDGs in Scotland and the 2018/20 Open Government Action Plan. We’re still working towards these outcomes, our iterative approach to managing the project means that nothing is perfect, but I’m happy with the progress the Open Government Pioneers Project has made.